Isn't This DIY Brick Bookshelf Simply Amazing? 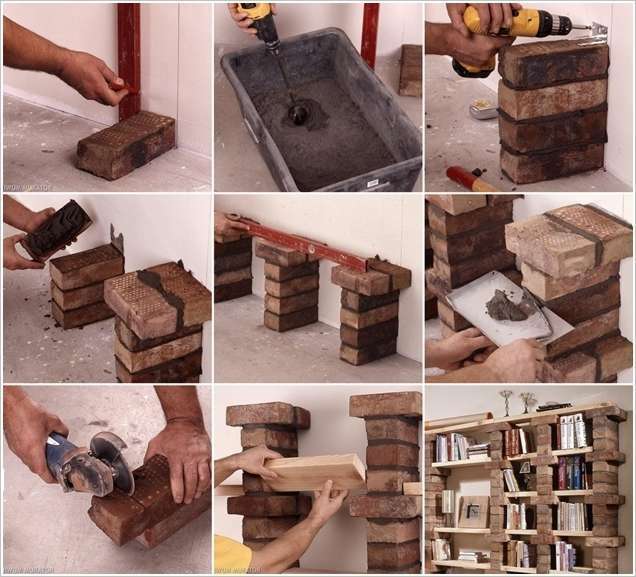 Isn’t This DIY Brick Bookshelf Simply Amazing? 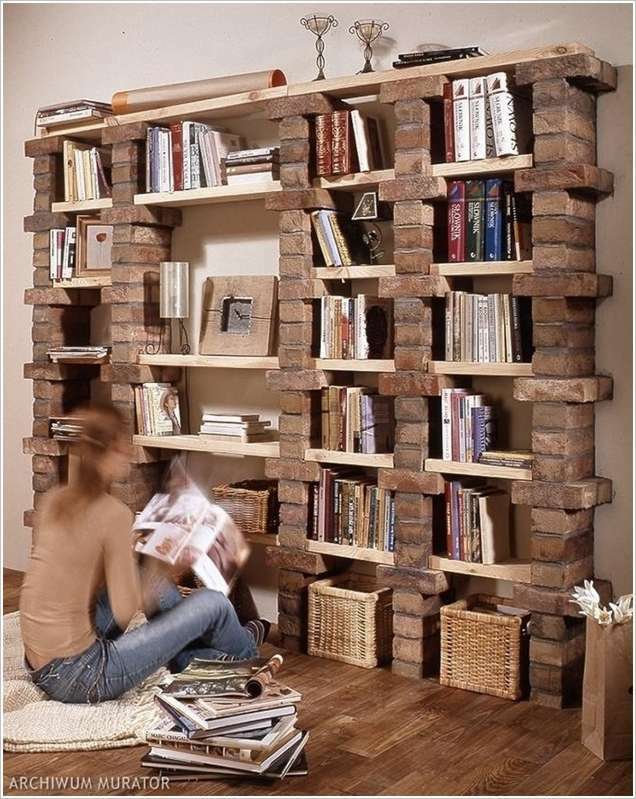 If you need an idea for a bookshelf that you can make yourself then here goes a beautiful brick bookshelf. To make this brick bookshelf first you have to draw vertical lines with a pencil using a level. After that mix cement in water and stack four bricks with it along the line as shown. After that fix a brick tie over the four stacked bricks and over it perpendicularly place two bricks. Make more columns in the same way apart from each other as shown in fourth step. Check them with a level and then over each column repeat the same steps until the height you want your bookcase to be at. Then place wooden slabs between the spaces as shown in step 8 and your bookcase is ready. For further details view the translated tutorial at urzadzamy.